Jaden’s Law is turning out to be an important piece of legislation. After being passed by the New Jersey State Senate and Assembly, it now marches on to the states of New York, Illinois, Georgia, North Carolina and Pennsylvania. This historic law is due to the work of the non-profit organization Preserve Our Legacy, Inc. Preserve Our Legacy was formed by Mac-Melius Agency, Inc., (MMA, Inc.) in 2007. MMA is a New York based firm with a combined 15 years of experience in Event Planning, Publicity, Marketing, Photography and Concierge services. 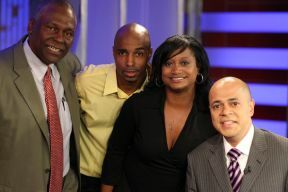 In 2006, the founders of MMA, Brett and Shana Melius met a 2-year old African-American boy named Jaden Hilton. This new acquaintance would not only touch their lives but, it would eventually have a significant impact on the lives of many others. At the time, Jaden was battling Leukemia, which inspired MMA to begin working with the marrow donor center DKMS. 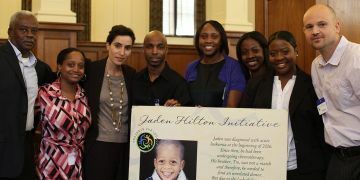 They also wanted to build awareness about stem cell treatment, ultimately to, try and find donor for Jaden. In August 2006 MMA’s client, EBC hosted its Annual Celebrity basketball game at New York’s Madison Square Garden. There they spread awareness about the need to register more minorities. 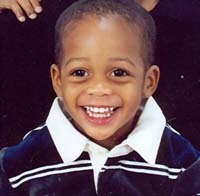 At the time, Jaden was in remission. Unfortunately, he relapsed in October 2006. Despite their efforts, Jaden lost his battle with Leukemia on January 29, 2007, just weeks before a planned celebrity basketball game in Las Vegas during 2007 All-Star weekend. Preserve Our Legacy was formed. “Our mission is to educate individuals, especially minorities, about the benefits of stem cells and treatment options they provide through peripheral blood stem cells (PBSC), bone marrow and umbilical cord donation.” Jaden’s father Rodney Hilton is also a member of Preserve Our Legacy. During efforts to spread awareness and build alliances to save lives the Preserve Our Legacy team met Rev. Jesse Jackson at an event, a few months after Jaden’s death. He inspired them to take the fight to save lives to the governments’ legislative branches. Soon after, the idea for Jaden’s Law was birthed.